For my Graphic Design Studio 1 class I was told to rebrand any museum or opera house of my choice. 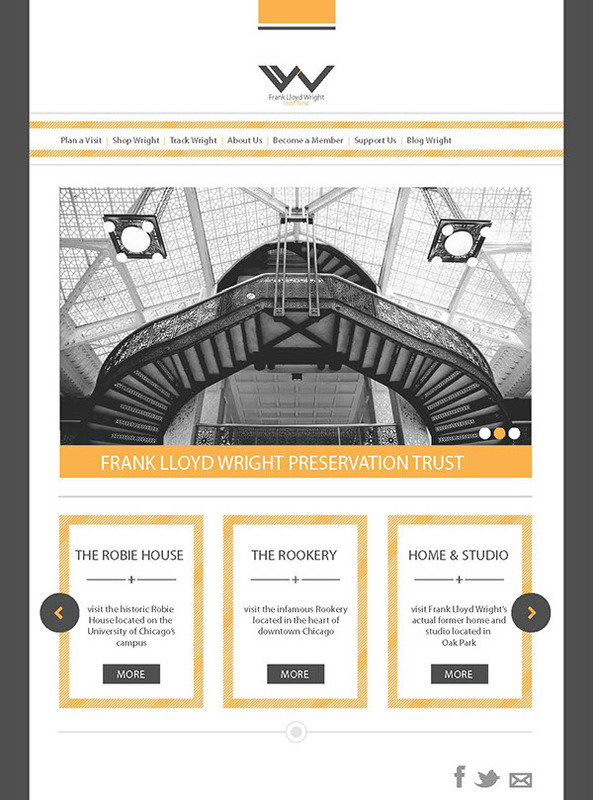 Instead of choosing a more traditional type of museum, I decided to rebrand the Frank Lloyd Wright Trust Fund. 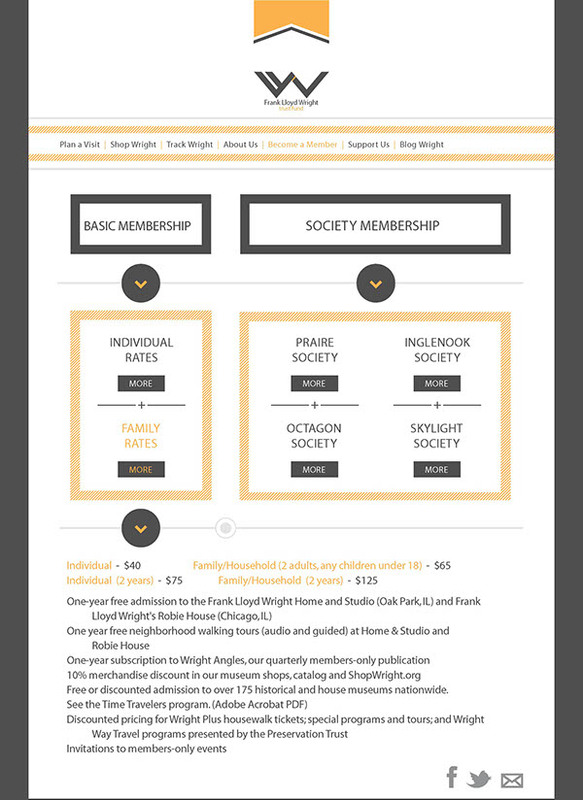 This trust fund provides educational tours in the metro Chicago area that go through three Frank Lloyd Wright designed buildings: the Robie House, the Rookery, and the Home and Studio. 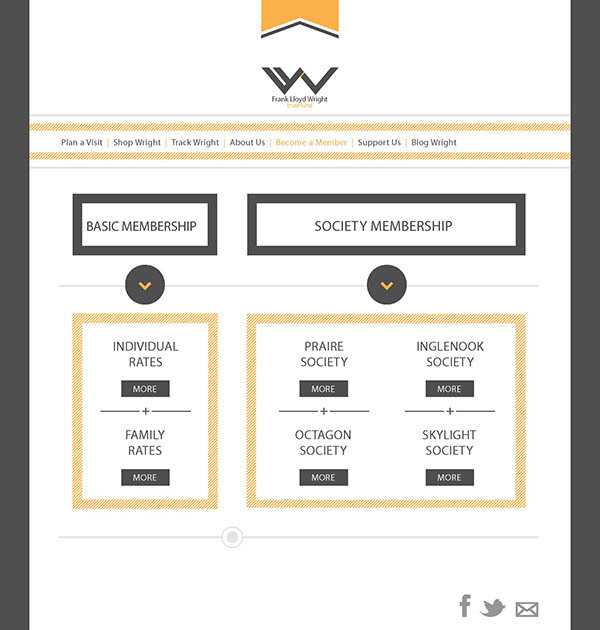 For my assignement, I created a new logo mark, designed a poster series, and redesigned their website. 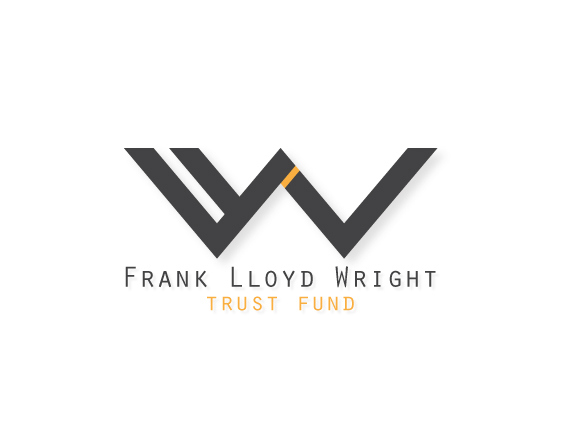 The new Frank Lloyd Wright Trust Fund mark was my solution to combining Wright's initials with his ideas of organic architecture and geometric designs. 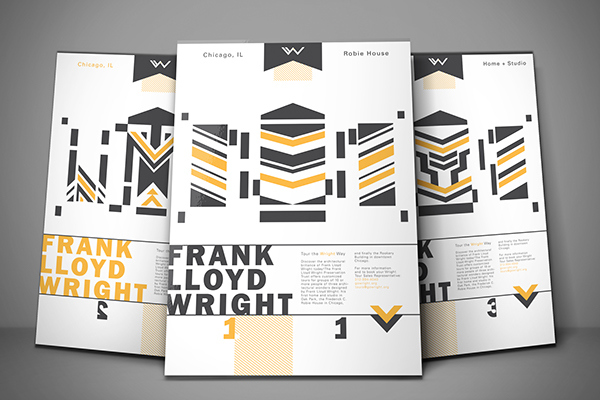 This three part poster series was designed with the intention of being posted all over the city of Chicago to raise awareness of the Frank Lloyd Wright Trust Fund. 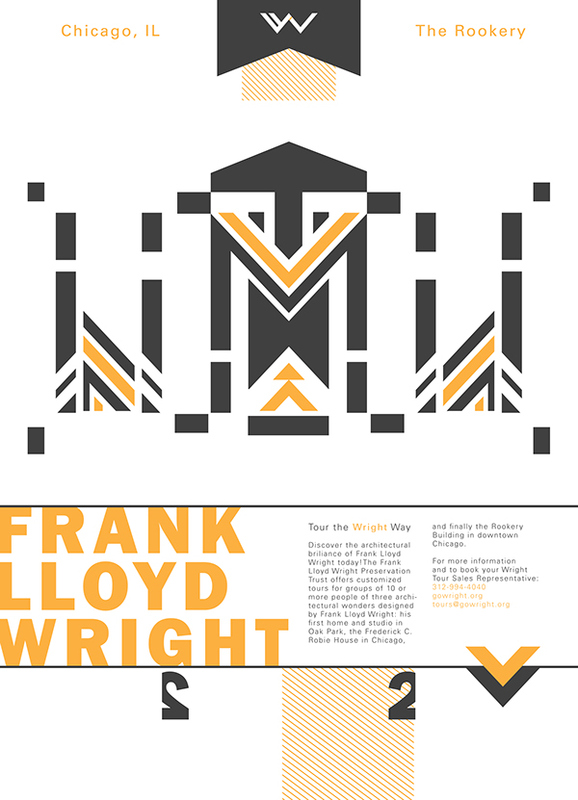 All three designs were inspired by Frank Lloyd Wright's geometric style, both in his architecture and his stained glass designs. The first poster pertained to the first building on the tour, the Robie House. The Robie house is internationally known as being a masterpiece of the Praire Style, which incorporates a heavy use of parallel lines. 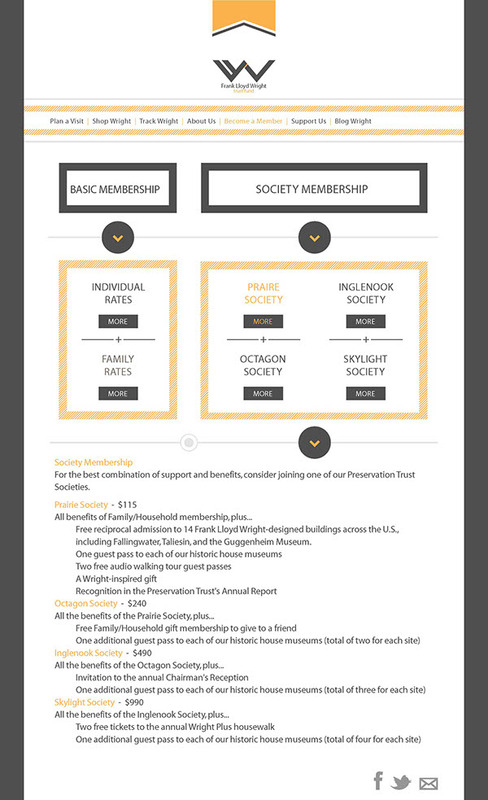 The second poster was designed after The Rookery, which is a famous landmark building in downtown Chiacgo. Frank Lloyd Wright remodled the lobby, designing a pair of staircases that converge into a heavily ornamented balcony. 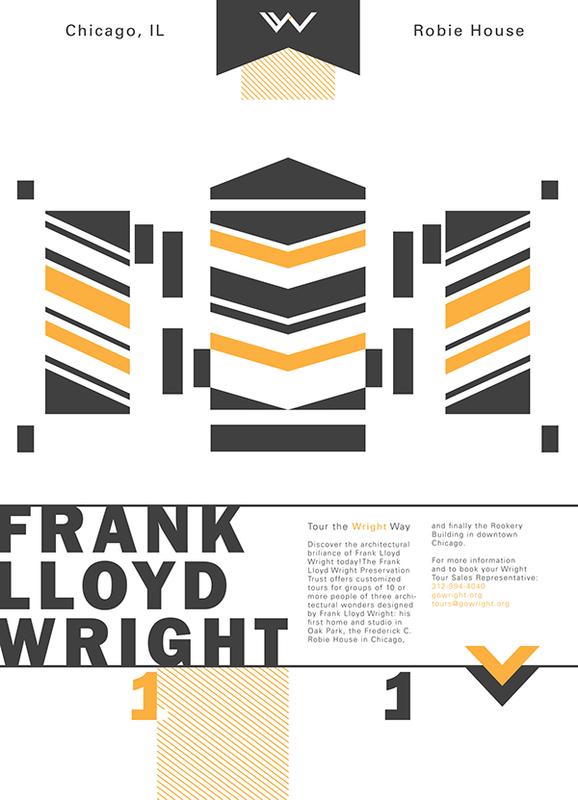 The third poster and final stop on the tour is Frank Lloyd Wright's Home and Studio. This was Wright's private house and workplace for the first 20 years of his career. 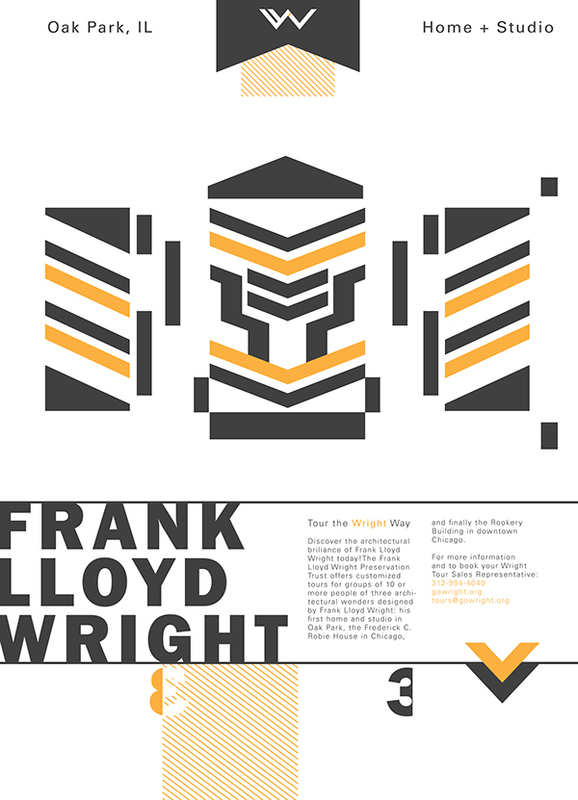 The house was designed with columns and squatty, geometric shapes which I tried to incorporate in the poster. 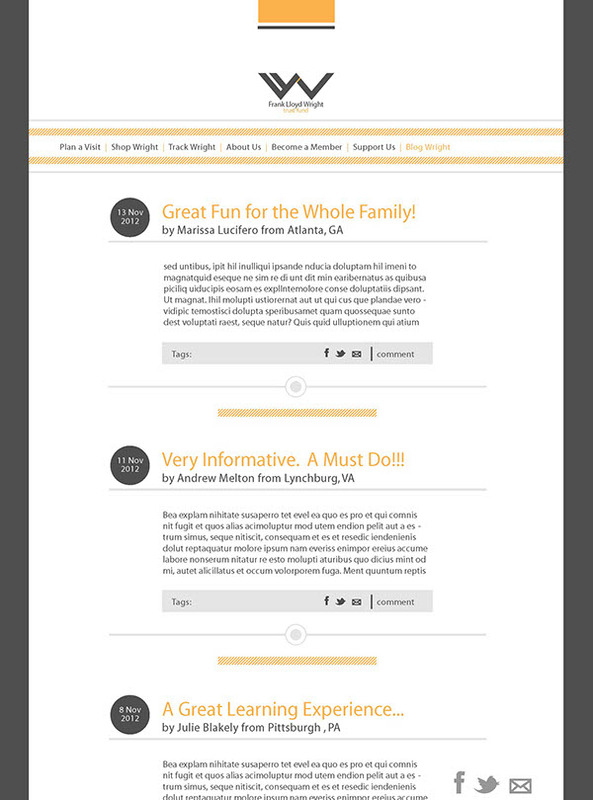 Below are the website templates that I made for the Trust Fund. I tried to create an aesthetic that was consistent with the mark and poster series. 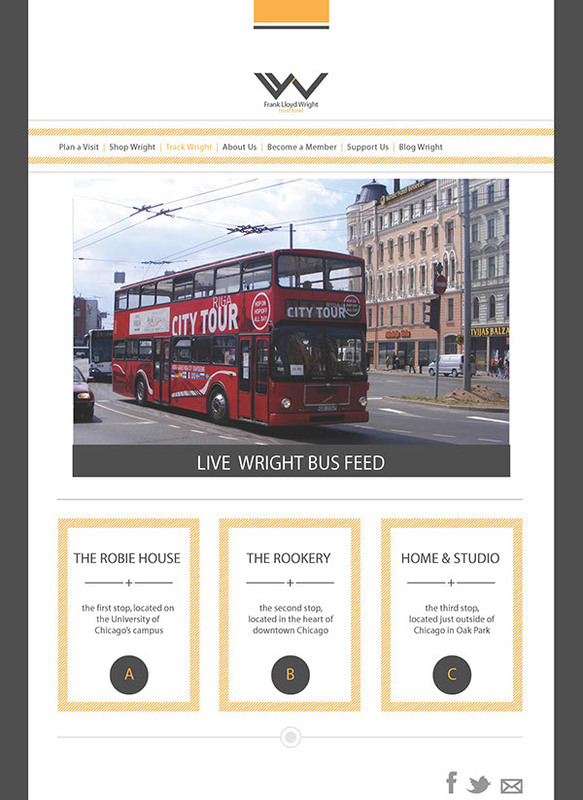 The website would provide information on the tours, different types of memberships that they offer, an online store, a blog, and a tracking feature that would allow the user to use GPS to track where exactly each bus is on the tour.